We love stories, and what’s more, we love fictional stories. To bring it one step higher, we love fantastic stories. In this instance, I don’t mean fantastic as in superb or exemplary, but as set in fantasy, where the logic of the world comes from a system of magic, as opposed to science. But there are different levels of fantasy story telling. With Game of Thrones having just returned yesterday, I’ve been thinking a lot about the show as opposed to Lord of the Rings, Harry Potter, or even Merlin. There are different levels to fantasy that we’ll explore today- namely Low, High and Epic. There are very loose, fluid guidelines on how to categorize fantasy, which I won’t necessarily follow. But just so you know, the difference between Low and High Fantasy, is determined on if the setting is on Earth, or if it is in a different world, like Narnia or Westeros. However for me it depends more on how recognizable the world is to us, or how infused the world is in magic instead of science. Harry Potter was 11 years old when he learned that magic was real, and that he had the power to create it. He lived within a 90 minute drive to London, went to school to learn math, and lived a childhood that we would recognize. When we joined the wizarding world, there were other creatures, such as elves, trolls, centaurs, and goblins. Wizards and witches could cast spells from their wands, and fly on broomsticks. However, the key thing is the world is still recognizable to us. Humans are still the dominant species, and the magic is limited in that you have to approach it in a specific, almost scientific way. This is the basis of Low Fantasy. Game of Thrones also falls under low fantasy. Many people place it under High Fantasy, due to one of the major rules of High Fantasy, it’s not set on Earth. However, we still rarely see non-human sentient creatures, magic is VERY restrictive, and the day to day lives of 90% of the Westerosi people is nearly identical to those of Medieval Europe. Oh, and the seasons last a long time, also not that fantastic. As the Council of Elrond forms, we see Humans, Elves, Dwarves, Hobbits, and a Maia. No one is a clear leader in the group, especially not the Humans. The world of Ea is unrecognizable to our world, with entirely underground civilizations, cities built hidden in trees, and Undying Lands. Magic is not restricted to a single system, but varies depending on the race using it. Gandalf, the magic-centric character, couldn’t overrule the magic of the Door of Moria, nor could he immediately identify the magic rings, built by elves. These are not the same magic system, but a tapestry of magic that any being could only understand pieces of. This is high fantasy. Dungeons & Dragons is famous for it’s High Fantasy. You can just as easily be a minotaur as you can a human. You can get your magic from the spirit of the trees as you could from reading books, or even from making a deal with an evil spirit. There are floating cities, or pirate ships in the space between realms, or a subcontinent beneath the regular continent, that has its own self-sustaining civilization. Because of the openness and endless possibilities of D&D, it is the highest of fantasies. The Chronicles of Narnia also gets a spot here. The complete birth and death of a world, with a Christ figure, various magic systems, and primarily non-human characters, the Chronicles of Narnia is amazing, and this list would not be complete without it. This is where the pattern breaks a bit, because Epic fantasy has nothing to do with the world in which it is set, but entirely about the scope of the story it is telling. For this reason, both Lord of the Rings and Game of Thrones count as Epic Fantasy. These stories are not about a young boy finding his way as the chosen one, or a team of misfits adventuring through the world. These stories are about one or many people going on a quest to save the world. They might all have different agendas, or be on the same page. But their end goal is to stop the greatest threat the world has ever known, and it is only by constantly making the hard choices that they can save the world. This is what makes Epic Fantasy. There are a litany of other subgenres of fantasy, that can be based on location, time-period, scale, or a number of other perameters. Contemporary Fantasy – The setting is modern day Earth (Chronicles of Narnia: The Magicians Nephew). 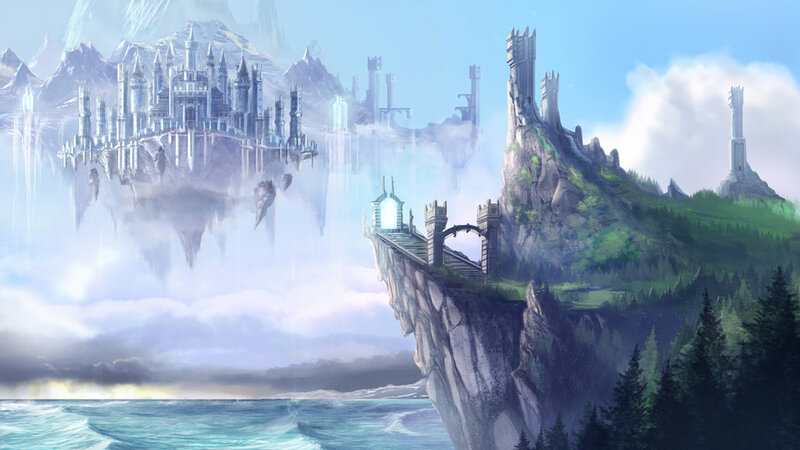 There are so many types of fantasy, and so many crosses between the subgenres, that you should take some time and think about what is perfect fantasy for you! For me, I like Urban High Fantasy, which again Dungeons & Dragons serves me very well. What is your favorite style of fantasy? Let us know in the comments below! Next Next post: The Nerdd Reading Lists!